Research for my New York trips has led me to some amazing places. But for all the surfing and asking, I haven’t been able to find a definitive destination on my quest to find the best New York pizza. The problem with pizza though, is that everyone has a different take on what makes a fantastic pizza. Some people are pizza purists and think wood-fired margherita is the only real pizza. Then there are others who would say Pizza Hut pan pizza is their favorite, and still others who think thick doughy crust with lots of goopy sauce is the only way to go. Last year, a former New Yorker urged us to go to Grimaldi’s in Brooklyn, but the 2 block line up deterred us. We did go to Co. last year, which was highly recommended and quite good, but it was new-school gourmet pizza. What I was looking for was a good ol’ slice of pie from NYC. Last year, the door guy at my hotel Peter, raved about the Ray’s on Broadway. He said it was amazing, and that we shouldn’t be deterred by the fact it looked like a chain-y pizza by the slice kind of place. So we checked it out and didn’t go in. We were deterred by the fact it looked like a chain-y pizza by the slice kind of place with tired old pizzas. This year, walking by Ray’s late on a Saturday night, Ben convinced me to give it a try. 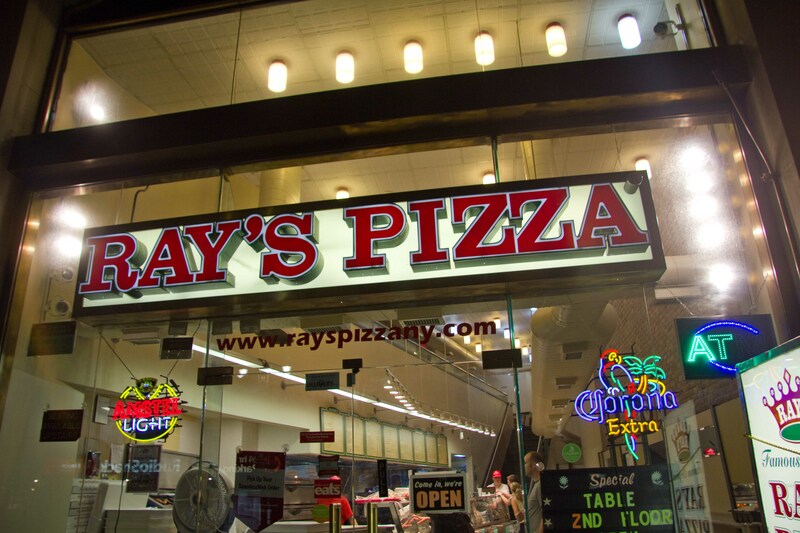 There are many Ray’s pizza’s all over New York. There’s Original Ray’s, Famous Ray’s, Original Famous Ray’s… This one was Famous Original Ray’s, which also has many locations. According to Peter, the Broadway location is the best. The much suppressed food snob in me was screaming to turn around and not waste the calories. But I refuse to be overcome by my snobbish tendencies, so I ordered a slice. I’m happy I did, because this one wasn’t bad, I’d probably even go so far as to say it was good. The crust was thin, the tomato sauce not too thick but very flavourful and the toppings served their purpose to adding to the flavour of the slice. Of course I went for the meat slice, which was warmed in the oven. Topped with parmesan, chilis and oregano. Yum yum! My slice at Ray’s was enough to tick “pizza” off my list for this trip. But we found ourselves wandering through Greenwich Village one afternoon with no actual meal plan. I took a look at the map that I had plotted restaurant ideas in advance and found we were a couple blocks away from Otto. A friend suggested we check it out, but seeing as we frequent Pizzeria Mozza in LA, going to Batali’s New York forray into pizza didn’t make it on to my must-do list. But I was starving, and Ben never says no to pizza, and I knew that from the raves I’d heard that it would be good so we pulled in. 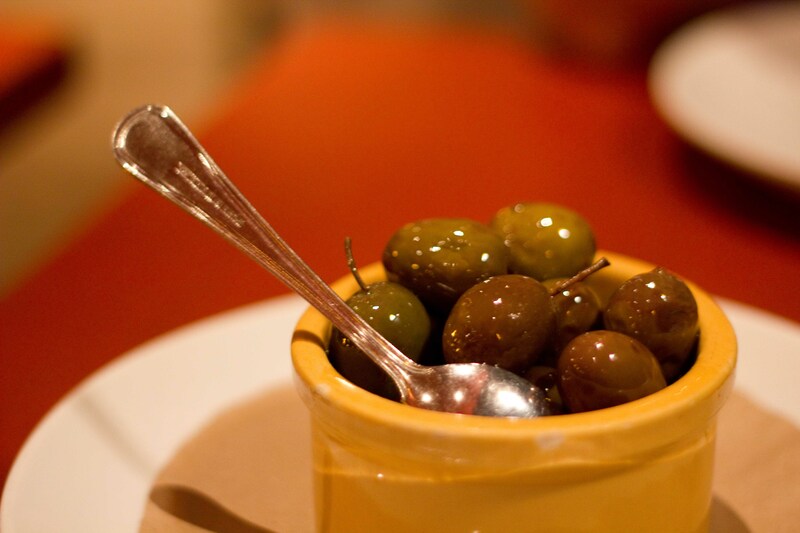 We ordered the marinated warm olives to tide me over until the pizza came. The olives were way too bitter although that didn’t stop me from devouring them. 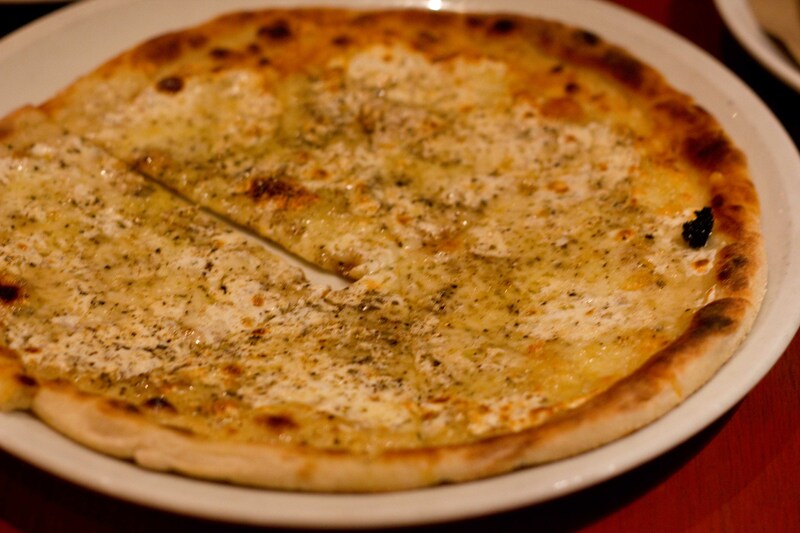 Cacio E Pepe – 4 cheese pizza with fresh mozzarella, cacio di Roma, Grana Padano and Pecorino Romano. Finished with black pepper this pizza was simply delicious. 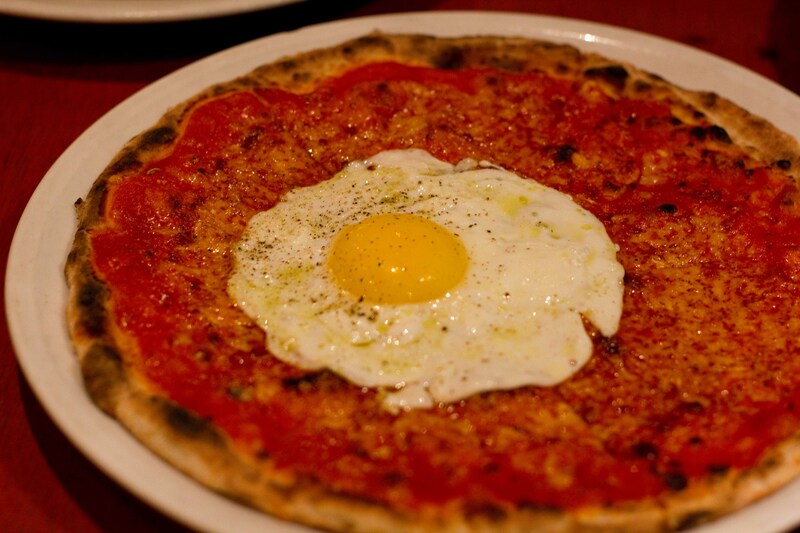 Pane Frattau – Sweet tomato sauce, pecorino and an oozing egg on top. Break the yolk and delight in a wonderfully richly flavoured pizza. 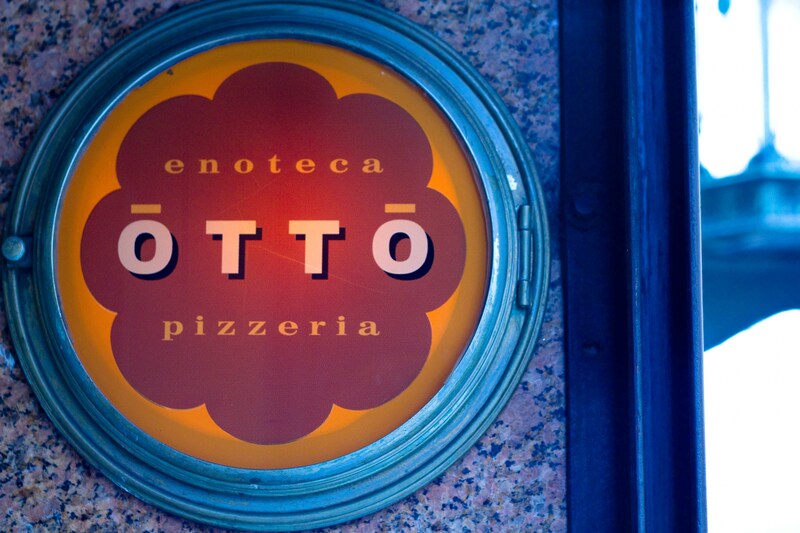 So the verdict on East Coast Otto versus West Coast Pizzeria Mozza? I think the crisp pizza crust and tomato sauce at Otto was superior to the somewhat bread-y, (but still delicious pizza at PM). But there’s a great west coast vibe at Pizzeria Mozza where you know you’re guaranteed to have a good time. Couple that with the fact that I am a westcoaster, Pizzeria Mozza won’t be taken off my list anytime soon. But Otto is definitely worth a visit. It may not be “authentic old school New York pizza”, but it was the best New York pizza I’ve had, (so far). 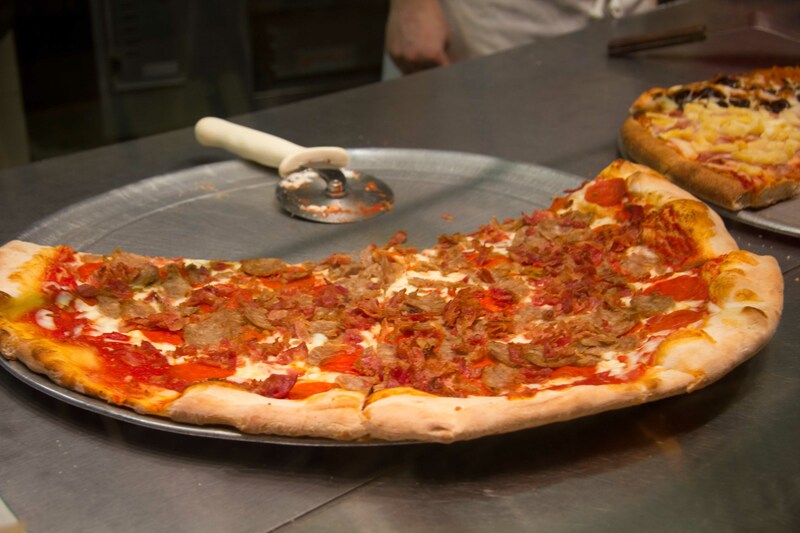 New York style pizza vs Chicago Deep Dish…and the winner is? I’m thin crust over thick any day! But comparing the 2 styles is like comparing a martini to a beer both have their positives depending on the situation.